Credit: Courtesy of ODD SQUAD (C) 2016 The Fred Rogers Company. WXXI Kids 24/7 brings Odd Squad: Odds and Ends to Family Movie Night! Friday, at 7 pm, and repeating on Saturday and Sunday evenings. 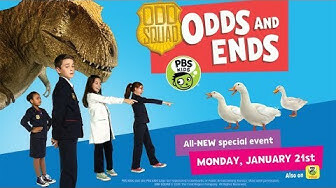 In an all new Odd Squad Movie: Odds and Ends. Find out why Otis is scared of ducks and which double agents are trying to destroy ODD Squad! Watch the world premiere of Odds and Ends Airs Friday at 7pm and repeats Saturday and Sunday at 7pm. Get Ready with These ODD activities! The ODD SQUAD agents are going to need a lot of help if they’re going to save the world. You can brush up on your skills by working on a few cases. If you’re an ODD SQUAD agent, there’s one thing you need (other than a solid knowledge of math). You need your own badge. 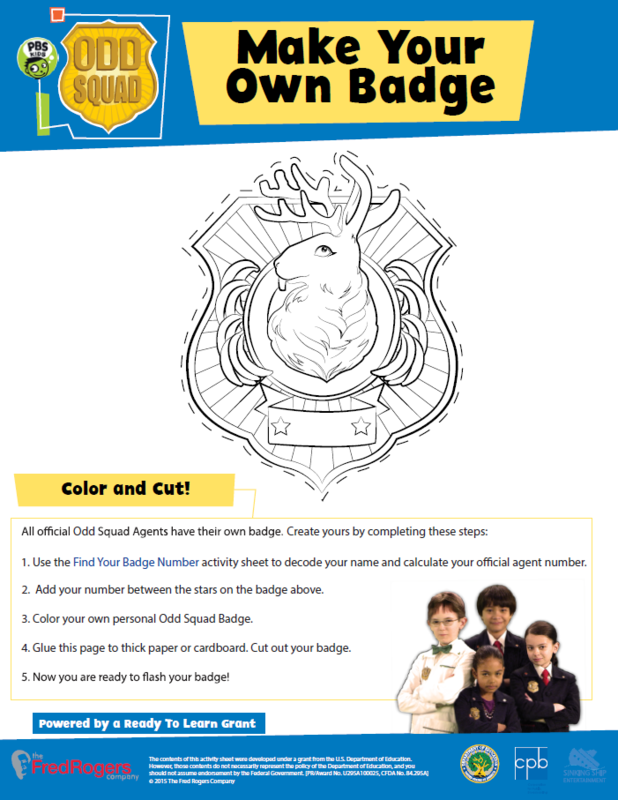 Download your badge here, add your agent number and customize it to reflect your agent personality. Get ready for the big event by making something sweet, slushies!... And, you can practice some math while you’re at it. You never know when you’ll need it! Come up with your own ODD popcorn seasoning (that you like) !